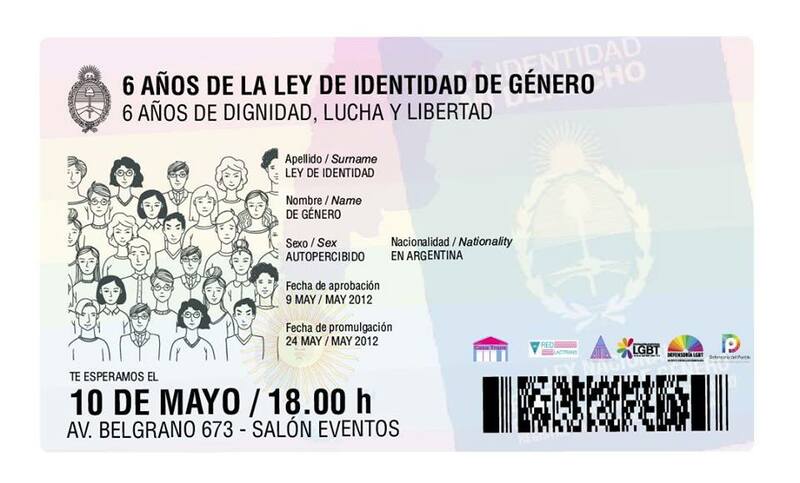 From the Argentina LGBT Federation we want to invite you to the celebration event for the 6 years of the approval of the Gender Identity Law in our country. This law is at the forefront worldwide and many countries have relied on it to promote their projects, which in many cases have already been approved, and it was essential for the transgender partners to have access to full recognition of their rights. In the event there will be a panel of exhibitors who worked intensely so that the law was approved by the National Congress. The meeting will be next Thursday, May 10 at 6:00 pm in the events room of the Ombudsman’s Office of the City of Buenos Aires, Av. Belgrano 673, City of Buenos Aires. It will be a moment to remember together the road traveled and to celebrate the achievements made.